"BUY BEFORE 1ST JULY 2018 & SAVE 4% STAMP DUTY"
Living at Silk One means you’ll forever remain connected to the Greater Brisbane region - and beyond. Not only is the CBD and Woolloongabba bus terminal within walking distance, but residents have easy side street access to the building by car and a short trip to the M1, which is around 2 mins away. This makes trips to and from the Sunshine Coast, Ipswich and the Gold Coast as efficient as possible. In all, it’s a location where commuting time to the city is almost negligible and getting around via public transport is a breeze. 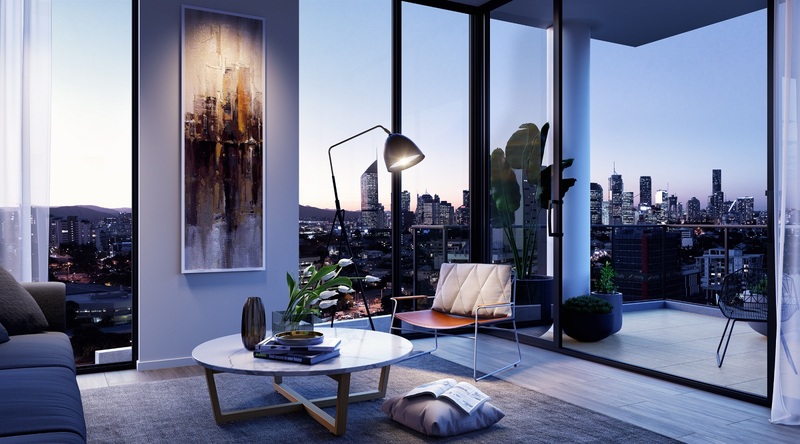 Silk is the most significant project in Woolloongabba's recent history – and not simply due to its sheer size or location opposite the Gabba (Brisbane Cricket Ground). Rather, the overall vision, is to merge cutting edge residential, commercial and retail spaces in an address that offers residents a level of amenity entirely unique to the Brisbane region. Silk One will set the tone for this groundbreaking precinct, as the first of its three exciting stages. 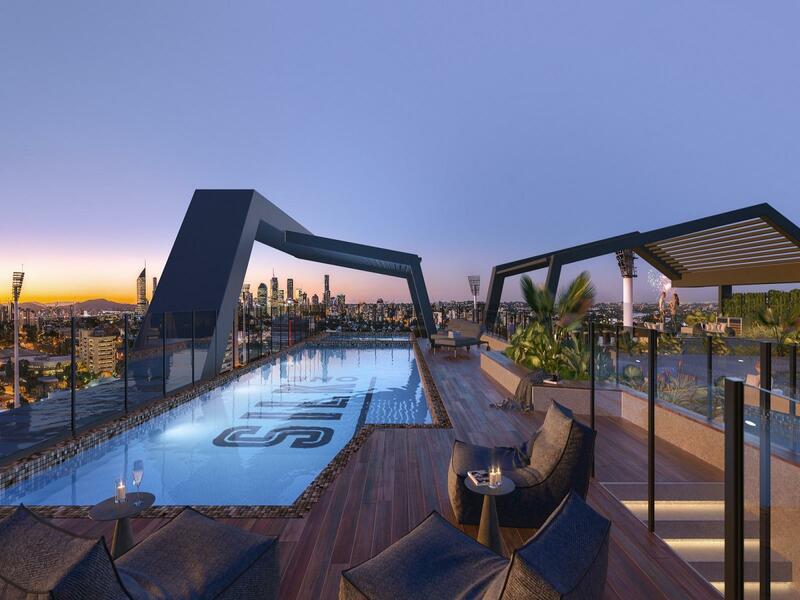 Comprising 177 one, two and three bedroom apartments, the best residents' facilities will be incorporated, including a stunning rooftop recreation deck, above ground secure car parking, office and retail space. Designed by Nettleton Tribe Architects, Silk One's architectural scheme draws inspiration from the angular shapes of metal structure and cables incorporated in The Gabba's facade. This aesthetic is further echoed in the integration of industrial style brass accents. It's attention to little details like this that have been designed to forever set Silk One apart as a true icon and ensure its timeless appeal. 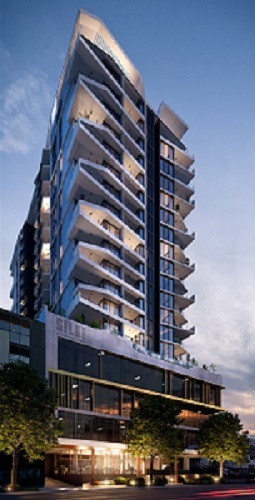 No aspect of Silk One has been done by halves, including its residents’ facilities, which feature the first and only rooftop Skystand in Brisbane. 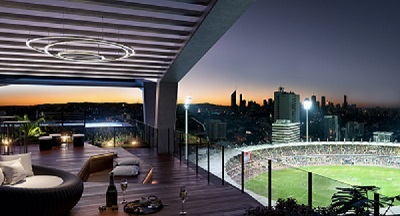 This unique architectural feature offers an unobstructed, birds-eye view into The Gabba stadium, where you can be part of some of the city’s most exciting cultural and sporting events, all without leaving home. The vision for Silk One is to provide a luxurious setting, where residents can embrace a world-class location, with amenities and features that are truly one of a kind. Inside the apartments, this ethos of delivering a unique living experience, has been achieved through clever design and astute orientation of apartments. The result is a range of one, two and three bedroom, open plan configurations in varying orientations to choose from, all of which benefit from deep balconies.